Boys & Girls Clubs of Winnipeg will benefit from the Boyd Autobody & Glass “Miles of Smiles” program for the fifth year in a row! These school supplies help to provide the support and opportunities that these youth may otherwise not have access to. Your donations make this program a success! 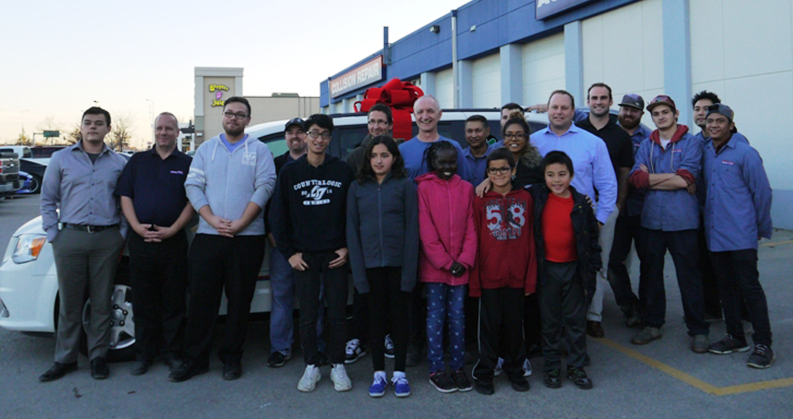 Boys & Girls Clubs of Winnipeg have benefited once again from Boyd Autobody & Glass' “Miles of Smiles” program for the fourth year in a row! Thank you once again for your generous support! 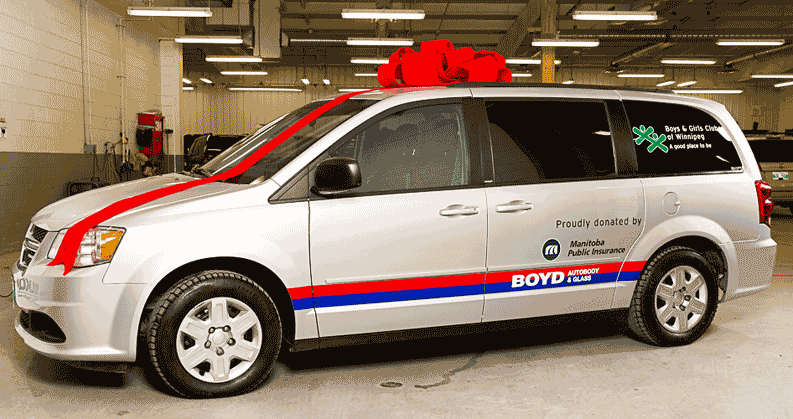 In 2016, Boyd Autobody & Glass employees at the 2405 Pembina Highway shop in Winnipeg, Manitoba offered to restore a 2013 Dodge Grand Caravan. On November 9, they were happy to present the fully restored vehicle to the Boys & Girls Clubs of Winnipeg. Thank you to the following technicians for dedicating their time to this worthy cause and for restoring the vehicle: Jesse Anderson, Andrew Bourgeois, Roy Charran, Derek Herie, Michael Landiak and Neshan Ramotar. Also, thank you to our vendor LKQ for your contributions as well! 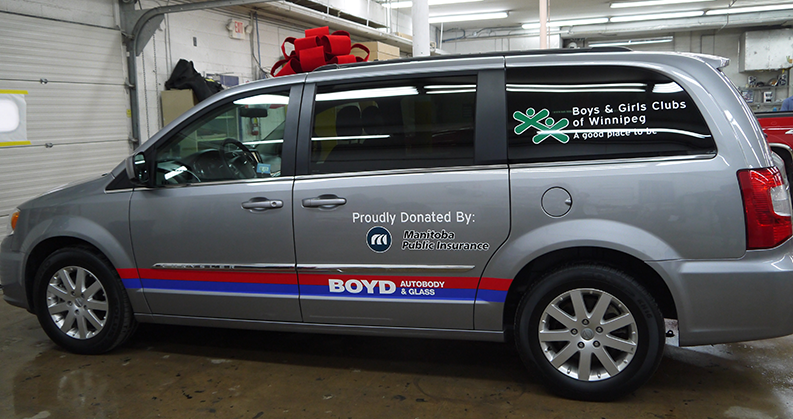 In 2015, a fully restored 2014 Chrysler Town & Country was presented to the Boys & Girls Clubs of Winnipeg. Thank you to all the staff and technicians at the Boyd Autobody & Glass at 951 Henderson Hwy in Winnipeg, Manitoba, who worked to fix up the vehicle to like-new condition. Your support removes transportation barriers so youth across our city can access a number of enriching activities throughout the year. 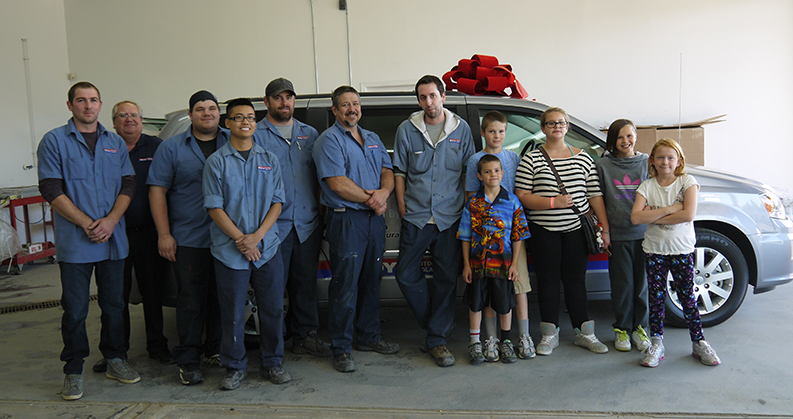 In 2014, mechanics and technicians at Boyd Autobody & Glass at 84 Scurfield Blvd in Winnipeg, Manitoba, restored a 2011 Dodge Grand Caravan SXT and gifted it to the Boys & Girls Clubs of Winnipeg. 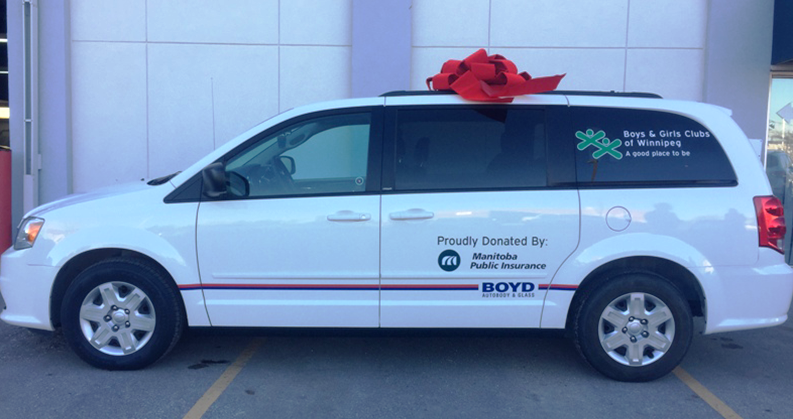 The vehicle, which was once a write off, was donated by Manitoba Public Insurance and was restored to pre-accident condition by Boyd employees as part of the Boyd Miles of Smiles Program. Thank you to all the staff and technicians at the Boyd Autobody & Glass at 84 Scurfield Blvd, who worked to restore the vehicle to like-new condition. This would not be possible without you!